Meet Hamilton Barkley, also known as Hami in Miami. You may recall meeting him at last year's Howl-O-ween Pawty when he surprised us all with his creative "holy cow" costume. 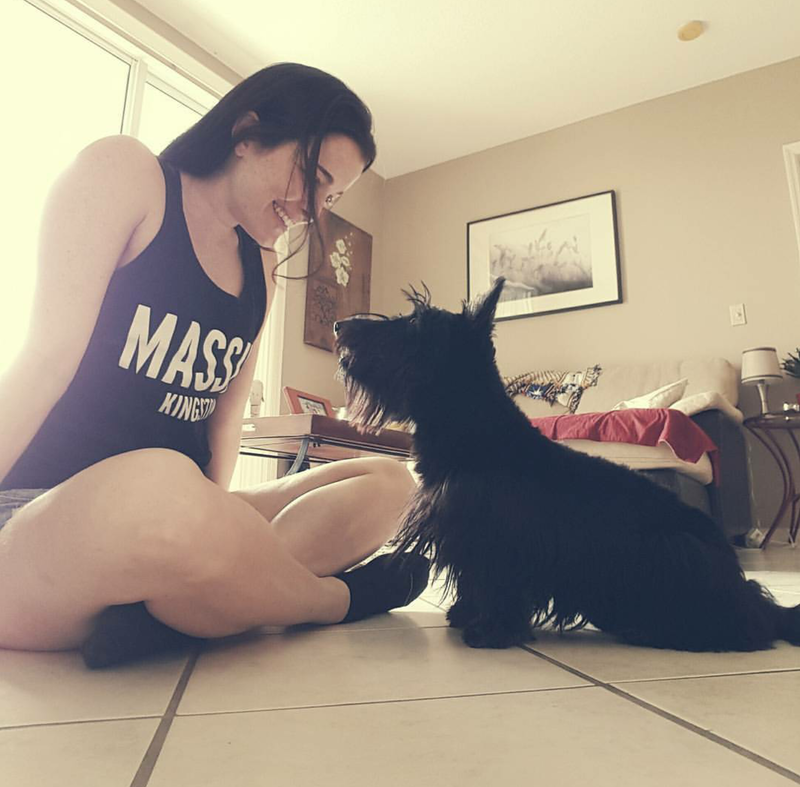 Hami has since taken over Miami - where he lives with his Scottie Mom - and now, he's quickly taking over the Internet with cute videos of him doing yoga (or should we say doga?) with his Scottie Mom. We're not sure how they do it but rumor has it that Hami didn't like his Scottie Mom's yoga practices taking up more of her time and attention than he did. So, he took matters into his own paws and did what any Scottish Terrier would do: take part in the fun. While his Scottie Mom was in the middle of a yoga sequence, he jumped on top of her back, worked his balance skills and the rest is history. Hami officially became a dogi! Check out his skills for yourself...impressive, isn't it?